Embroidery is a craft that Albanian women have cultivated and mastered throughout centuries! 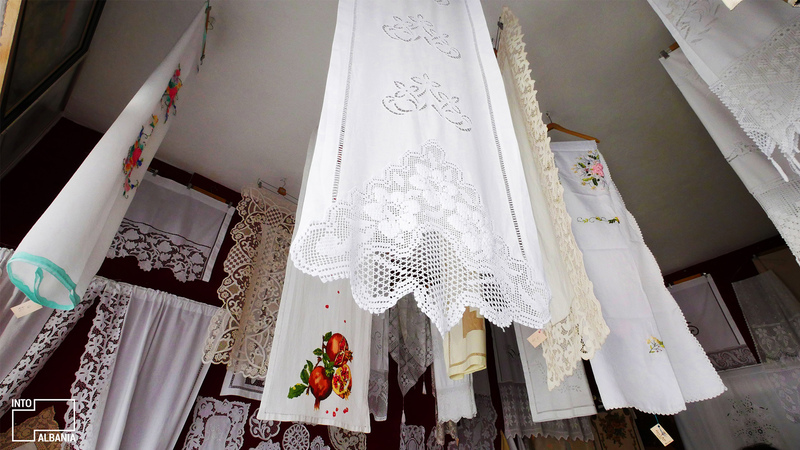 To this day, most Albanian homes are embellished by traditional pieces of elegant embroidery. 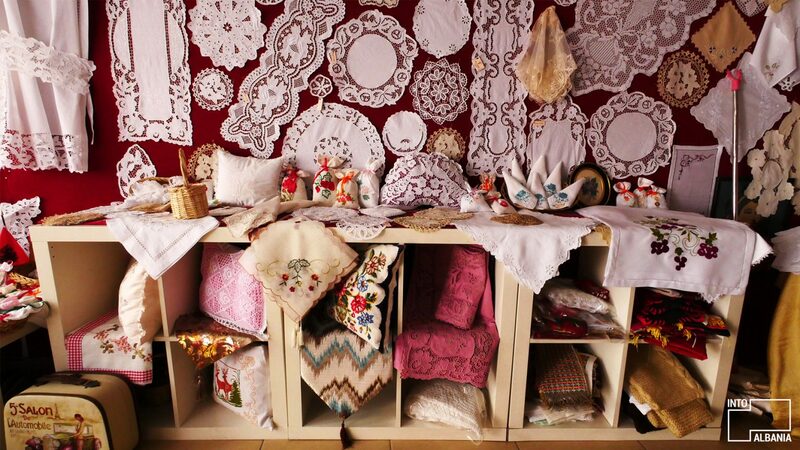 In the historic neighborhood of Gjirokastër called Qafa e Pazarit, or the Old Bazaar, we meet one of the true masters of embroidery in town, Vjollca Mezini. It is clear that Vjollca has poured her heart and soul in this particular craft. Indeed, her expertise shows in the effortless weaves her needle makes through the soft fabric. This process is truly hypnotic! Because of it, tourists surround her as she works, fascinated by her handiwork. Her multicolored threads beautifully re-create the iconic images of the city. Gjirokastra’s characteristic houses, the Castle of Argjiro, the bridges and cobbled alleys! But, her works include beautiful traditional geometric patterns, as well. Such fine work is challenging but Vjollca insists that people’s appreciation of her beautiful pieces makes it all worthwhile.